Have you ever been stuck in traffic and thought: “There has got to be a better way to get where I’m going”? Pilots often think the same thing up in the air. In the hours before takeoff, airline dispatchers specifically plan flights and file flight plans using the best information available at the time. But conditions change: turbulent weather moves in, the airspace suddenly becomes more congested or better flying lanes open up but go undiscovered. What if pilots – much like drivers – could hop off a busy thoroughfare and jump on a less crowded backroad? Today, it’s not that easy. Soon, it could be. Alaska Airlines is partnering with the National Aeronautics and Space Administration (NASA) on a possible game changer – aircraft technology that can choose the best routes for pilots in real time. In addition to getting you to your destination faster, NASA estimates between 8,000 to 12,000 gallons of fuel could be saved annually per Alaska Airlines aircraft, along with 900 to 1,300 fewer minutes flying each plane. All those savings and reductions could add up quickly. The software is called TAP, or Traffic Aware Planner. It’s part of NASA’s Traffic Aware Strategic Aircrew Requests (TASAR) program, which automatically monitors for potential flight trajectory improvements while in the air, passes that information on to pilots and helps them to get permission to make the changes. Right now, pilots make those requests to Air Traffic Control (ATC) with limited awareness of what’s happening around them. TASAR focuses on maximizing opportunities, such as taking advantage when severe weather moves out of the way, other aircraft head in a different direction or when better flying lanes with more favorable winds are discovered. At the space agency’s Langley Research Center in Virginia, engineers designed the cutting-edge technology to help reduce the amount of time planes are flying, which cuts down on fuel consumption and carbon emissions. 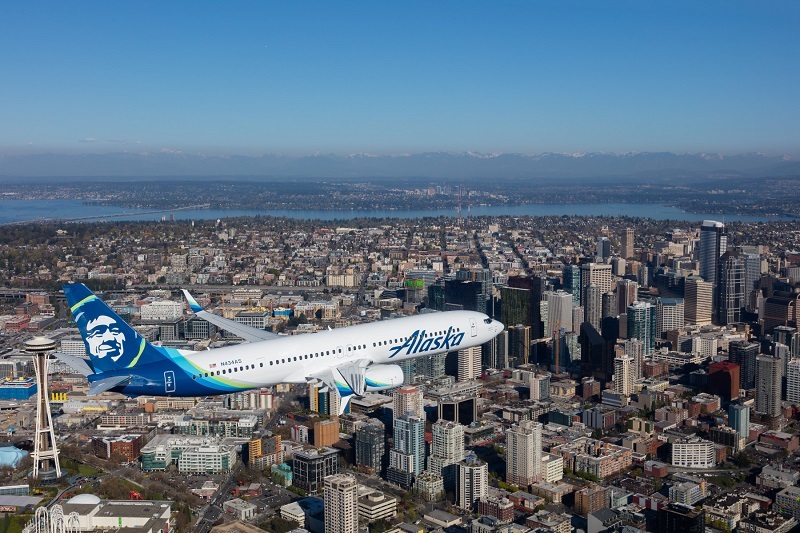 The software is currently undergoing flight trials on three Alaska Airlines’ 737-900ERs. So far, results are promising with significant fuel and time savings. The TAP software accesses onboard aircraft systems to learn the plane’s current position and route, and couples it with real-time information using Gogo’s eEnablement services, which allows pilots to remain connected. After analyzing the data, the system checks to see if more efficient routes are available. The software then connects with the plane’s other avionics and scans the broadcast signals of nearby air traffic to make sure there are no potential conflicts. All of this makes it easier for air traffic controllers to okay a pilot’s route change request. The first flights with Alaska pilots using the TASAR technology started July 24, 2018. The operational evaluation of the system will last through September 2020. With continued success, more and more pilots could rely on TAP’s guidance. Read more about the program on NASA’s blog. Top image by Ingrid Barrentine of Bret Peyton, Alaska Airlines captain and director of Fleet Technology Support.